The face of progression in sport, and in many ways in our lives, is reflection of our focus, mental ability and preparation. Being ready and able to perform is even more a matter of mental ability than that of physical talent. The great thing is that you can practice and learn to build confidence, concentration and focusing capabilities. In the digital media programs and books below, learn how to harness your mental game and put mental snowboard training to work for you. C Wilson Meloncelli - Flow State Performance Coach, Stunt Performer, Author and ex British Champion in MMA . The core of Wilson's method of hacking the flow state is to create flow experiences for the practitioner. The more the student/practitioner practises being in flow, the greater his or her ability to trigger flow on command. These flow experiences are created through physical and mental meditations and can be practised by anyone. The ability to be in Flow is in us all. There is nothing mystical or elusive about it. The Flow State is experienced by writers, poets, artist, cleaners, business executives, gardeners, athletes, musicians, extreme sports athletes… you get the point? We can all experiences being in Flow. Its all comes down to “purposely practicing” being in Flow. Martial Art instructor in Jeet Kune Do, Filipino Martial Arts, Silat, Muay Thai, Grappling and a Purple belt in Brazilian Jujitsu.Master Practitioner in Neuro Linguistic Programming Hypnotherapy and Ireca Energy Practitioner..
20 years in the health and fitness industry with significant experience includes: Skills in Pilates, Strength and Conditioning, Mobility, Clinical Posture etc. The power of the unconscious mind has been discussed since the beginning of time by the world’s greatest minds from Socrates to Einstein and Freud. Your unconscious holds the key to unlocking your unlimited potential on a snowboard. The best part is your unconscious mind can be programmed in a way that is 100% effective. 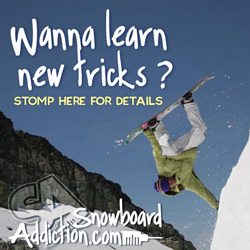 We will be programming your conscious mind using techniques that will literally program the neural pathways in your brain and allow you to snowboard better than you’ve ever imagined. No wonder today’s top athletes in all sports, from Olympic snowboarding to gymnastics, use mental performance strategies to improve their ability. Now you can do that too. Life is a performance whether you're on the field, in the courtroom, or running a household. But many of us, when asked to perform, are overcome by fear. We lose our confidence and allow our insecurities to hinder us. What if you could channel your attention to focus on the task at hand and not on what might go wrong? What if you could play the game of life to win, instead of playing it not to lose? What if you had the mental power to make your dreams come true? In The Fearless Mind, sports psychology consultant Craig Manning teaches you how to beat mediocrity and embrace greatness. With many years of experience as a pro tennis player, collegiate tennis coach, and doctor of philosophy, Dr. Manning will help you overcome your fears, expel anxiety, build confidence, and become a high-performing individual-no matter what your field. Learn how to unlock your mind and reach your greatest dreams. There are many mental pathways to performance, but there is only one pathway to true success-having a fearless mind. A powerful and proven three-phase system for athletes and competitors at every level who want to achieve a winning state of mind You develop your muscles to be physically strong, but exercising the mental edge is just as crucial for peak performance. 10-Minute Toughness gives effective tools to take control of your success through a personalized mental training system. Following the author's five-stage daily mental workout, along with his goal-setting activities and solution-focused tools, you'll use mental imagery, positive self-talk, controlled breathing, and more to increase confidence and beat the competition. Written by a sports psychologist and a renowned T'ai Chi master, here is a guide to enriching all of life's pursuits through the practice of its simple mental tools and wisdom. Using stories of success from athletes and business people, the authors present techniques and exercises to promote relaxation and enhance performance. As a therapist, physician, and mental coach, Dr. Michael Lardon has dedicated his career to helping athletes understand and better achieve peak performance. In Finding Your Zone, he shares with readers what he's discovered about reaching the state in which "thoughts and actions are occurring in complete synchronicity," and how this state is accessible to all, not just the few. Reach your potential! As an athlete or coach seeking success in sport or other walks of life, you will find the expert advice and proven techniques to fulfill your aspirations in In Pursuit of Excellence. Author Terry Orlick, an internationally acclaimed sport psychologist, has helped hundreds of Olympic and professional athletes maximize their performances and achieve their goals. In this fourth edition, Orlick provides new insights and a powerful step-by-step plan for you to develop your own personal path to excellence. One of America's premiere sports performance consultants describes the "mind-body connection" program he uses to sharpen and maximize the sports performances of thousands of professional and amateur athletes through enhanced mental training.